Mr. Durkin has been named a top-tier attorney by U.S. News-Best Lawyers in the areas of personal injury litigation, aviation law and product liability since 2011. He was named the Lawyer of the Year in 2017 in the area of Plaintiffs' Product Liability Litigation. These accolades are based on peer reviews and his legal ability, professionalism and integrity. He has also been named an Illinois Super Lawyer and a Leading Lawyer since 2003, its inception in the state. While he is an established attorney for personal injury, Mr. Durkin is perhaps best known for his work as an aviation accident attorney. He has been involved in nearly every major commercial airline crash of the last two decades, often serving as lead counsel. With his experience and success as an aviation accident attorney, Mr. Durkin served for four years as the Co-Chair of the Aviation Committee for the 75,000-member American Bar Association's Section of Litigation. In that position, he chaired an annual program that brings together the best and the brightest to discuss cutting-edge issues in aviation litigation. He often still serves as a speaker for that annual program. Mr. Durkin served for two years as Co-Chair of the Mass Torts Litigation Committee and has served as Vice-Chair of the Aviation and Space Law Committee of the Tort Trial and Insurance Practice Section of the American Bar Association. 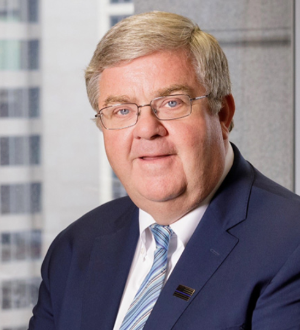 After he graduated from DePaul University College of Law, Mr. Durkin served as an Assistant State's Attorney in the Cook County State's Attorney's Office in Chicago for eight years from 1980-1988. Since then, he has focused on civil litigation at Clifford Law Offices.